Darkglass Electronics’ Alpha Omega bass distortion, co-developed with Jon Stockman of Aussie prog heroes Karnivool, won plenty of plaudits when it was launched back at NAMM, and now the company has launched a downsized version in the Alpha Omicron. 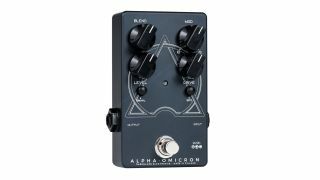 The Alpha Omicron features the same dual-distortion engine as its big brother, but ditches the DI and active EQ sections to produce a smaller, more affordable stompbox. 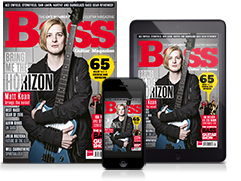 Controls include blend, level, drive, mod (which chooses between the punchy, tight Alpha and raw Omega side), Bite switch (boosts 2.8kHz high-mids) and Growl switch (a shelving bass boost). The Alpha Omicron is available now for £245. Head over to Darkglass Electronics for more info.